2 high quality 4″ steel casters to the back with 360 degree rotation ability. 2 steel wheels measuring 6″ attached to the front legs,which they extend additional 32″ and totaling 90″. Dimensioned in folded position 30″ (W) – 57″ (L) – 65″ (H). 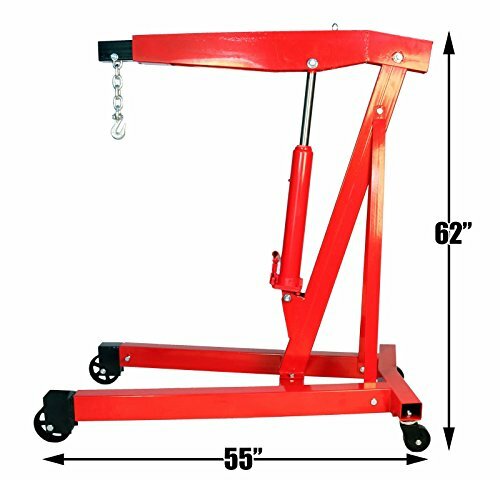 Lifting weight capacity is at 97″ (H) at 2000 lbs with the crane expanded and 90″ (H) at 6000 lbs with just the hoist. Equipped with a 3/8″ Forged Steel Hook along with a heavy-duty 12″ Forged Steel Chain. 12 Ton ram with an ergonomic easy to control lever. 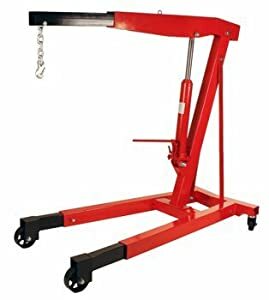 The frame of this engine hoist is made with a heavy-duty thick high-grade premium steel and is attached with a boom and an extension of equal quality and strength. 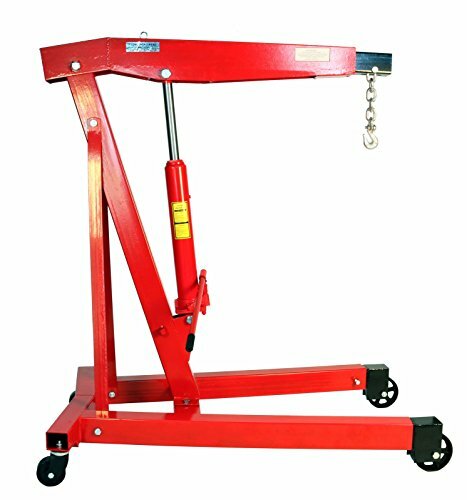 Because of this, you have the ability to lift and drive especially heavy loads with safety. The control lever on the back also adds to the safety of the product. The back steel casters that rotate a full 360 degrees allow sufficient and responsive moving control. 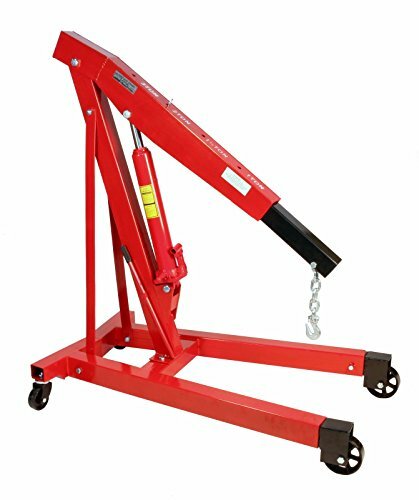 With the boom at it’s full extension, this hoist has the ability to raise a 2000 lb load up to 97″ from the ground – this is more than enough for most loads. Additionally, due to the high quality of the hydraulics, maintenance costs are minimal. The only consideration that you may need to consider is the distance you will be needing to transport your load. 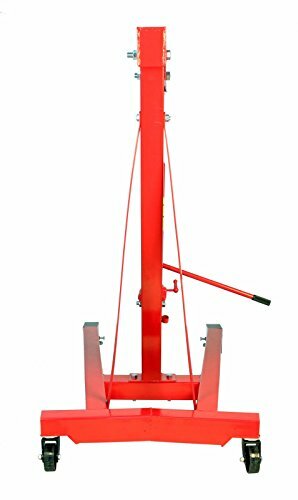 This is because the casters aren’t made to travel long distances, and if you are planning on wheeling your load about, make sure the ground is smooth, and swept and clear from any little rocks or small objects. 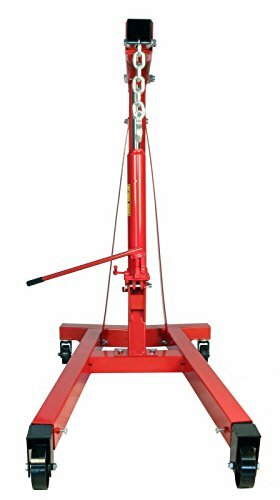 I would like a price on your 3 ton heavy duty engine hoist.